After several days of bitter cold, Toronto could be in for another bout of winter weather. 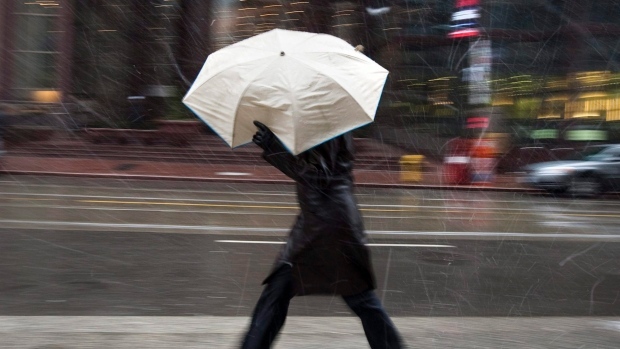 Environment Canada issued a special weather statement for Toronto and most of the GTA Tuesday afternoon. The agency said parts of the region could see anywhere from two to five centimetres of snow by Wednesday as a Colorado low tracks northeast. The snow is expected to start tonight and change to freezing rain early Wednesday. West of the GTA, an area stretching from Niagara to Windsor already sits under a freezing rain warning ahead of the messy system. Toronto sat at -7 C as of Tuesday afternoon, though it feels more like -14 with the wind chill. The overnight temperature is expected to hover around -8 C.
A high of 6 C is expected in the city on Wednesday.